As Mothers and Grandmothers, we often think am I taking enough precautions to keep our children safe from danger and predators? Bullying can cause children to have a hard life. Find out if your child is being affected by bullying, and what you can do to help your child. Find out how to protect babies in the first weeks of life from sudden infant death syndrome. And learn more about help for those who have lost a baby due to SIDS or SUIDS. Looking for a unique costume for this Halloween? 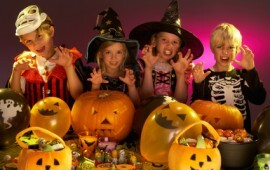 To spark your imagination, here are some designs for fun homemade Halloween costumes for your children. Family Health and Fitness Day! Join Shannon Miller Lifestyle and celebrate National Family Health and Fitness Day with your family. Here are some ideas for fun activities.